The round eighth of FIDE Women Grand Prix in Ankara was unusually peaceful– all the games finished with draw result even all them were full of struggle. The leader of the tournament Humpy Koneru, who had had 100% result with black pieces, gave away first half a point playing with black against Munguntuul Batkhuyag. The current leader of the tournament got quite a remarkable advantage in the middle game but didn’t manage to convert it into more. Anna Muzychuk didn’t use an opportunity to play for victory in the game against Antoaneta Stefanova and remains on the second place half a point behind of Humpy Koneru. Kubra Ozturk came very close to get the first full point in the game against Zhao Xue. Turkish player refused to repeat the position in the middle game, put the pressure on her opponent but missed some good chances. After seventh rounds of tough struggle Humpy Koneru managed to become the sole leader in FIDE Women’s Grand Prix in Ankara. In a complicated game against Ju Wenjun Humpy Koneru managed to outplay her opponent in the deep endgame. 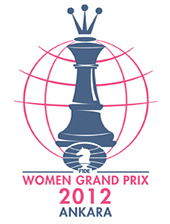 Anna Muzychuk made a draw against Zhao Xue and placed second half a point behind of Indian player. After unpleasant start the current Olympic Champion Tatiana Kosintseva won the second game in a row against Monika Socko and climbed in the middle of the table. 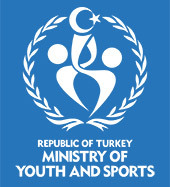 The derby between Turkish players Betul Yildiz and Kubra Ozturk finished peacefully as well as two other games Stefanova-Batkhuyag and Cmilyte-Lufei. Zhao Xue and Ruan Lufei share the third place with 4.5 points.